Reykjavik University (RU), Iceland’s largest private university, is a dynamic international university with over 3000 students offering a first rate education in one of the most unique countries in the world. The University is committed to academic excellence and is renowned for it outstanding teaching and unique relations with Icelandic industries and public institutions. The University comprises of four schools: the School of Business, School of Computer Science, School of Law, and the School of Science and Engineering. It presently offers 20 Masters programs taught entirely in English, several PhD programmes and a number of Undergraduate modules in English. The University is renowned for its programmes in the field of Sustainable Energy (Iceland School of Energy), which are offered in collaboration with industry experts in Iceland. The University also offers an AMBA accredited MBA programme and the Undergraduate studies in the school of business are accredited by EPAS. Reykjavik University welcomes international students seeking a creative academic working environment to join us in one of the most dynamic and unique countries in the world. 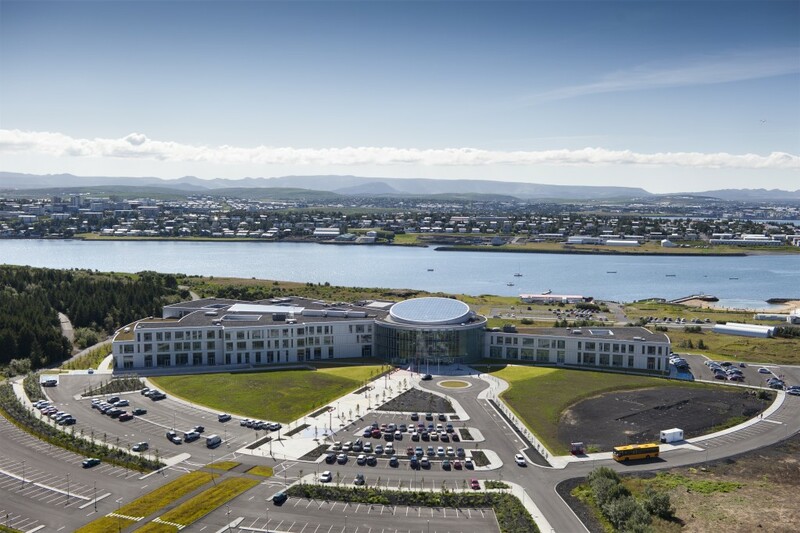 The core activities of Reykjavik University are teaching and research with strong ties with industry and society, emphasising interdisciplinary work, international context, innovation and service excellence. The RU culture is crafted by personal relations and respect for society and the environment. 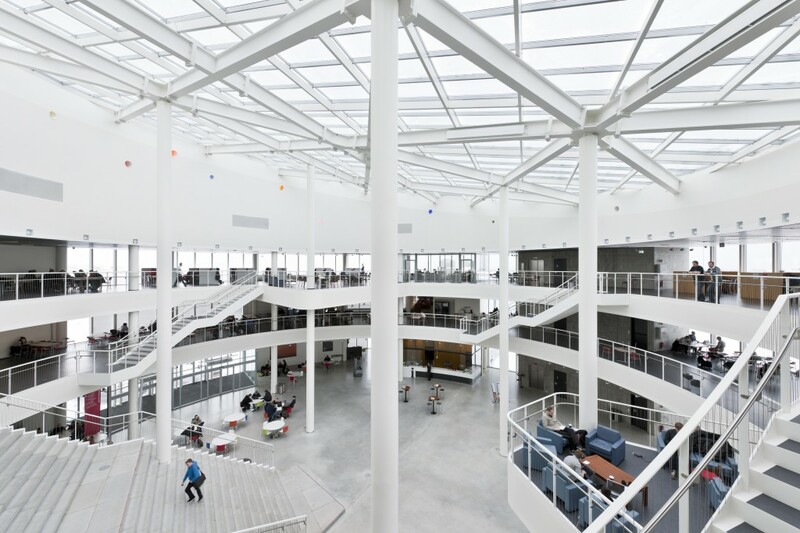 Reykjavik University emphasizes ties with the national and international industry, which is based on integrity and mutual respect for the benefits of the entire society. The University takes active part in the shaping and development of industry and society, and works towards satisfying the needs of society for specialized knowledge. These goals are attained through education, research, innovation, development, and participation in discussions on issues arising in society. Furthermore the University emphasizes good relations to its alumni and to attend to lifelong learning needs of individuals. Iceland is a North Atlantic island and the westernmost country in Europe, midway between North America and mainland Europe. It lies about 800 km northwest of Scotland and 970 km west of Norway, and its northern coast is just below the Arctic Circle. From London, Iceland is the same distance as Athens. It is also the same distance from New York to Iceland as from New York to Los Angeles. Reykjavík is the world’s northernmost capital city. Excellent! Hotels and guesthouses are found in every region around the country, and they are almost invariably clean and comfortable. Camp sites are also numerous. The seafood and lamb are of outstanding natural quality, served either traditionally or in an imaginative European style. There are also plenty of fast food establishments, both in Reykjavík and in the larger towns around the country. Summer visitors who arrive to a bright midnight sky and ask when it gets dark in Iceland are sometimes told “in the middle of August.” The sun barely sets in the summer in Reykjavík and it’s light round-the-clock in the north at the peak of summer. In mid-winter, however, expect only about four to five hours of daylight per day. Spring and autumn daylight hours are more or less “normal”. Not at all! Frequent flights operate to Iceland from main cities in Europe and North America and many gateways are served daily. Flight times to Europe are two to four hours. Most transatlantic flights connect at Iceland’s Keflavík International Airport (45 km from Reykjavík) to give good stopover opportunities for travellers. Although Reykjavik is the world’s northernmost capital, Iceland is warmed by the Gulf Stream, resulting in a surprisingly mild, coastal climate. The weather is also affected by the East Greenland polar current curving south-eastwards round the north and east coasts. The average summer temperature in Reykjavik is 10.6°C/51°F in July, with average highs of 24.3°C/76°F. The warmest months are from June to September when visitors can witness the midnight sun. Alternately, Iceland’s coldest months are November to January, when average winter temperature in Reykjavik are similar to New York City’s, about 0°C/32°F in January (average highs are 9.9°C/50°F). Most descriptive of Iceland, however, are the interchangeable weather patterns. The weather can be very unpredictable and often changes in an instant. Due to its extreme geographical location, sun and rain at the same time can be quite common. Flag: Blue with a red cross outlined in white. white recalls the snow and glaciers, and blue is for the skies above. Population: 321,857 (Jan 2013). Median age is 37.1 years. (32,000); Hafnarfjörður *(27,000); Akureyri (18,000); Reykjanesbaer (14,000). Language: Icelandic, a North Germanic language derived from Old Norse. English is widely spoken and understood. Size: 103,000 sq. km (40,000 sq. miles). Slightly bigger than Hungary and Portugal, and slightly smaller than Cuba. Glaciers: Glaciers cover 11,922 sq. km. (4,600 sq. miles) of the island´s surface. Iceland is home to Vatnajökull National Park, the largest national park in Europe.